Acca Kappa Natura Comb. 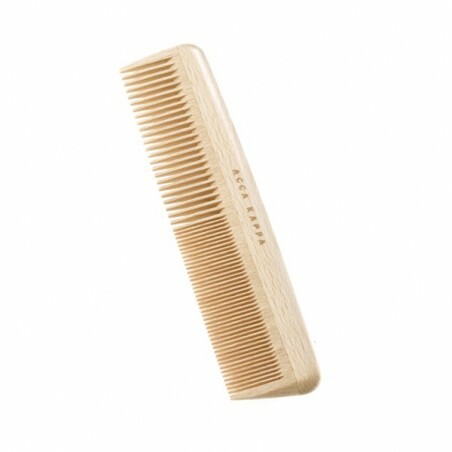 This sleek comb is part of the beechwood collection. It is made from naturally anti-static beech wood.The course and fine teeth allow for the easy untangling of your hair leaving it knot free and silky smooth. 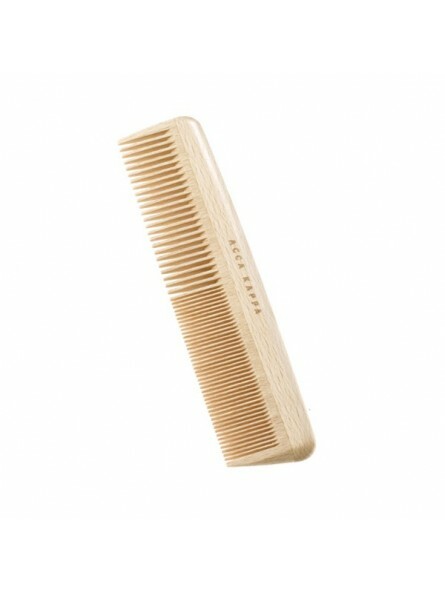 The comb is deigned to protect the hair, reducing damage and breakage.it is hand-finished but not varnished. It is elegantly deigned and ideal for travel. It is the perfect size to fit snuggly in your grooming kit. Acca Kappa combs leave your hair in beautiful condition. If you use the comb on wet or damp hair, dry the comb with a towel after use. We recommend you clean the comb using a small amount of dish detergent and dry thoroughly afterwards for optimum condition.